This lawn care maintenance how-to module, is designed for the do-it-yourselfer. It is a series of short articles of lawn care tips to give you the basics of watering, mowing, fertilizing, aerating, dethatching, and topdressing your lawn. Let's face it, lawn care maintenance is not always at the top of everyone's to-do list. You've spent hundreds or thousands of dollars sodding or seeding your yard, now what? How do you care for it? Water it? Fertilize it? Mow it? and keep it healthy? Spending a little bit of time each week on grass care, will protect your investment for many years to come. A lush, thick, green lawn not only shows the pride you take in your property, but it is also a defense against weeds, pests, disease, drought, and winter kill. There are many different varieties of grass on the market depending on the climate that you live in. Many of them have different requirements for water, nutrients, sun, shade and mowing heights. Although it may not be possible to cover all varieties specifically, we will do our best to cover as much as we can in lawn care maintenance. Before you start a lawn maintenance program, it is up to you to first know your grass type and soil conditions. This will allow you to follow the best programs for your lawn. With lawn maintenance, don't let calender dates dictate when you perform certain tasks in your yard. Sometimes seasons come earlier, or last longer due to the weather. Be in tune to the weather and forecasts. The information in this module is only a basic guide. It is also important to know that not all of these methods will be recommended by everyone. Landscapers in the industry are often in disagreement over what methods work best, and when to do them. Even scientists give conflicting statements on the experiments they conduct. At Dream-yard try our best to provide you with the different options that are available to you. 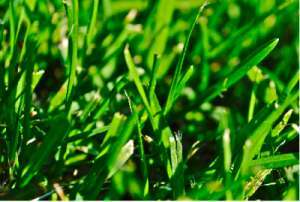 No two lawns are alike, and you have to find out which works best for you. You will frequently see us offering different options, rather than giving specific step by step instructions. For those of you requiring more information on grass types, soil, or fertilizers, we will occasionally provide some links for you for further reading at the end of the modules. If you have any tips or information that you feel would benefit others, please feel free to contact us so we can add them. We are always looking to improve our site. We also welcome any input from homeowners, suppliers and landscapers. At Dream-yard, our goal is to help others with our reference material to make sure your Dream-yard will flourish. Lawn care maintenance is broken down into different sections, showing you the basics of daily and weekly lawn care like watering and mowing. Then we will show you some long term care like fertilizing, aerating and dethatching. If there is something not covered in the module, please feel free to contact us directly with any questions.